The provisions of the Wisconsin statutes that permit the filing of mechanics liens and materialman's liens on construction projects can be found in Wisconsin's Construction Lien Law, W.S.A. § 779.01 et. seq. 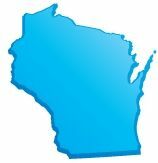 The full text of the Wisconsin Construction Lien Law is provided below, and has been updated as of 2011. To see a quick synopsis of the most important provisions, take a look at our Wisconsin Frequently Asked Questions page. (1) Name of law. This subchapter may be referred to as the construction lien law. (a) “Improve” or “improvement’ ‘ includes any building, structure, erection, fixture, demolition, alteration, excavation, filling, grading, tiling, planting, clearing or, landscaping, repairing, or remodeling which is built, erected, made or done on or to land for its benefit. This enumeration is intended as an extension rather than a limitation of the normal meaning and scope of “improve” and “improvement”. (am) “Labor” includes any wages and related contributions for state employment taxes, worker’s compensation and unemployment compensation insurance, and other fringe benefits. (b) “Lien claimant” means any person who claims a lien under this section pursuant to a contract for improvement of land entered into by an owner of the land. (bm) “Materials” includes any construction materials, supplies, tools, fixtures, equipment, machinery, vehicles, fuel, and energy. (c) “Owner” means the owner of any interest in land who, personally or through an agent, enters into a contract, express or implied, for the improvement of the land. Agency will be presumed, in the absence of clear and convincing evidence to the contrary, between employer and employee, between spouses, between joint tenants and among tenants in common, but there shall be a similar presumption against agency in all other cases. 1. A person, other than a laborer, but including an architect, professional engineer, construction manager, surveyor, or other service provider, employed by the owner, who enters into a contract with an owner of land who is not personally the prime contractor as defined in subd. 2. to improve the land, or who takes over from a prime contractor the uncompleted contract. 2. An owner of land who acts personally as prime contractor in improving such land. (e) “Serve” or “served” means personal delivery, delivery by registered or certified mail, service in a manner described for service of a summons under s. 801.14, or any other means of delivery in which the recipient makes written confirmation of the delivery; except that in s. 779.15, with respect to serving the state, “serve” or “served” means delivery by registered or certified mail. (3) Extent and character of lien. Any person who performs, furnishes, or procures any work , labor , service, materials , plans, or specifications, used or consumed for the improvement of land, and who complies with s. 779.02, shall have a lien therefor on all interests in the land belonging to its owners. The lien extends to all contiguous land of the owner, but if the improvement is located wholly on one or more platted lots belonging to the owner, the lien applies only to the lots on which the improvement is located. (4) Priority of construction lien. The lien provided in sub. (3) shall be prior to any lien which originates subsequent to the visible commencement in place of the work of improvement, except as otherwise provided by ss. 215.21(4)(a), 292.31(8)(i), 292.81 and 706.11(1) and (1m). When new construction is the principal improvement involved, commencement is considered to occur no earlier than the beginning of substantial excavation for the foundations, footings or base of the new construction, except where the new construction is to be added to a substantial existing structure, in which case the commencement is the time of the beginning of substantial excavation or the time of the beginning of substantial preparation of the existing structure to receive the added new construction, whichever is earlier. The lien also shall be prior to any unrecorded mortgage given prior to the commencement of the work of improvement, if the lien claimant has no actual notice of the mortgage before the commencement. Lien claimants who perform , furnish, or procure any labor , services, materials , plans, or specifications for an improvement prior to the visible commencement of the work of improvement shall have lien rights, but shall have only the priority accorded to other lien claimants. (5) Assignment of lien, garnishment. Assignment of a claim or right to a lien or any part thereof by a prime contractor, or garnishment by the creditor of a prime contractor, subcontractor, supplier, service provider, laborer or mechanic, shall not operate to compel the owner, prime contractor, subcontractor , supplier, or service provider to pay the assignee or creditor until the lien claims of subcontractors, suppliers, service providers, and laborers under this subchapter have either been paid in full, matured by notice and filing or expired. If such claims become liens, the owner, prime contractor, subcontractor , supplier, or service provider shall be compelled to pay such assignee or creditor only what remains due in excess of such liens. (a) By any laborer or mechanic employed by any prime contractor or subcontractor. (b) By any lien claimant who has contracted directly with the owner for the labor, services, materials, plans, or specifications performed, furnished, or procured, unless the claimant is a prime contractor subject to the notice requirement of sub. (2)(a). (c) By any lien claimant performing, furnishing, or procuring labor , services, materials, plans, or specifications for an improvement in any case where more than 4 family living units are to be provided or added by such work of improvement, if the improvement is wholly residential in character, or in any case where the improvement is partly or wholly nonresidential in character. (d) By any prime contractor who is personally an owner of the land to be improved, by any corporate prime contractor of which an owner of the land is an officer or controlling shareholder, by any prime contractor who is an officer or controlling shareholder of a corporation which is an owner of the land or by any corporate prime contractor managed or controlled by substantially the same persons who manage or control a corporation which is an owner of the land. (e) By any lien claimant, other than a prime contractor, who performs, furnishes, or procures labor , services, materials, plans, or specifications for an improvement on a project on which the prime contractor is not required to give notice under this section. (2) Notice to owner, lender, and supplier. (a) Every prime contractor who enters into a contract with the owner for a work of improvement on the owner’s land and who has contracted or will contract with any subcontractors , suppliers, or service providers to perform, furnish, or procure labor , services, materials, plans, or specifications for the work of improvement shall include in any written contract with the owner the notice required by this paragraph, and shall provide the owner with a copy of the written contract. If no written contract for the work of improvement is entered into, the notice shall be prepared separately and served on the owner or authorized agent within 10 days after the first labor , services, materials, plans, or specifications are performed, furnished, or procured for the improvement by or pursuant to the authority of the prime contractor. The notice, whether included in a written contract or separately given, shall be in at least 8-point bold type, if printed, or in capital letters, if typewritten. It shall be in substantially the following language: “As required by the Wisconsin construction lien law, claimant hereby notifies owner that persons or companies performing, furnishing, or procuring labor , services, materials, plans, or specifications for the construction on owner’s land may have lien rights on owner’s land and buildings if not paid. Those entitled to lien rights, in addition to the undersigned claimant, are those who contract directly with the owner or those who give the owner notice within 60 days after they first perform, furnish, or procure labor , services, materials, plans or specifications for the construction. Accordingly, owner probably will receive notices from those who perform, furnish, or procure labor , services, materials, plans, or specifications for the construction, and should give a copy of each notice received to the mortgage lender, if any. Claimant agrees to cooperate with the owner and the owner’s lender, if any, to see that all potential lien claimants are duly paid”. (b) Every person other than a prime contractor who performs, furnishes, or procures labor , materials, plans, or specifications for an improvement shall have the lien and remedy under this subchapter only if within 60 days after performing, furnishing, or procuring the first labor , services, materials, plans, or specifications the person serves a written notice , in 2 signed copies, on the owner or authorized agent at the last-known post-office address. The owner or agent shall provide a copy of the notice received, within 10 days after receipt, to any mortgage lender who is furnishing or is to furnish funds for construction of the improvement to which the notice relates. The notice to the owner shall be in substantially the following language, with blanks accurately filled in: “As a part of your construction contract, your prime contractor or claimant has already advised you that those who perform, furnish, or procure labor , services, materials, plans, or specifications for the work will be notifying you. The undersigned first performed, furnished, or procured labor , services, materials, plans, or specifications on ... (give date) for the improvement now under construction on your real estate at ... (give legal description, street address or other clear description). Please give your mortgage lender the extra copy of this notice within 10 days after you receive this, so your lender, too, will know that the undersigned is included in the job”. (c) If any prime contractor required to give the notice prescribed in par. (a) fails to give notice as required, the prime contractor does not have the lien and remedy provided by this subchapter unless the prime contractor pays all of the prime contractor’s obligations to its subcontractors , suppliers, and service providers in respect to the work of improvement within the time periods under s. 779.06 and until the time for notice under par. (b) has elapsed and either none of its subcontractors, suppliers, or service providers gives notice as a lien claimant under par. (b) or all of its subcontractors, suppliers, and service providers have waived all lien rights in full under s. 779.05. (d) Every mortgage lender making an improvement or construction loan shall make reasonable inquiry of the owner as to whether any notices required by this subsection have been given. A lender is not required to pay out any loan proceeds unless or until the prime contractor has given any notice required of the prime contractor by this subsection. (e) If the owner or lender complains of any insufficiency of any notice, the burden of proof is upon the owner or lender to show that he or she has been misled or deceived by the insufficiency. If there is more than one owner, giving the notice required to any one owner or authorized agent is sufficient. In addition, every prime contractor and subcontractor, at the time of purchasing or contracting for any materials to be used in any of the cases enumerated in s. 779.01, shall upon request deliver to the supplier a description of the real estate upon which the materials are to be used and the name and post-office address of the owner and authorized agent, if any. Failure to receive such description and name and address does not relieve a supplier who asserts a lien from the requirement of giving timely notice. (3) Failure to give notice; saving clause. Any lien claimant, other than the prime contractor, who fails to give a notice as required by sub. (2)(b) shall have no lien on the land or improvement to which the failure relates. Any claimant who serves a late but otherwise proper notice on the owner or authorized agent shall have the lien provided by s. 779.01 for any labor , services, materials, plans, or specifications performed, furnished, or procured after the late notice is actually received by the owner. The burden of proving that labor , services, materials, plans, or specifications for which a lien is claimed were furnished after that date is on the lien claimant. (4) Notice and filing requirements in s. 779.06 unaffected. Nothing in this section shall be construed to relieve any lien claimant of the notice and filing requirements under s. 779.06. (5) Theft by contractors. The proceeds of any mortgage on land paid to any prime contractor or any subcontractor for improvements upon the mortgaged premises, and all moneys paid to any prime contractor or subcontractor by any owner for improvements, constitute a trust fund only in the hands of the prime contractor or subcontractor to the amount of all claims due or to become due or owing from the prime contractor or subcontractor for labor , services, materials, plans, and specifications used for the improvements, until all the claims have been paid, and shall not be a trust fund in the hands of any other person. The use of any such moneys by any prime contractor or subcontractor for any other purpose until all claims, except those which are the subject of a bona fide dispute and then only to the extent of the amount actually in dispute, have been paid in full or proportionally in cases of a deficiency, is theft by the prime contractor or subcontractor of moneys so misappropriated and is punishable under s. 943.20. If the prime contractor or subcontractor is a corporation, limited liability company, or other legal entity other than a sole proprietorship, such misappropriation also shall be deemed theft by any officers, directors , members, partners, or agents responsible for the misappropriation. Any of such misappropriated moneys which have been received as salary, dividend, loan repayment, capital distribution or otherwise by any shareholder , member, or partner not responsible for the misappropriation shall be a civil liability of that person and may be recovered and restored to the trust fund specified in this subsection by action brought by any interested party for that purpose. Except as provided in this subsection, this section does not create a civil cause of action against any person other than the prime contractor or subcontractor to whom such moneys are paid. Until all claims are paid in full, have matured by notice and filing or have expired, such proceeds and moneys shall not be subject to garnishment, execution, levy or attachment. (6) Prime contractors to defend lien actions. Where a lien is filed under this subchapter by any person other than the prime contractor, the prime contractor shall defend any action thereon at personal expense, and during the pendency of the action the owner may withhold from the prime contractor the amount for which the lien was filed and sufficient to defray the costs of the action. In case of judgment against the owner, the owner may deduct from any amount due to the prime contractor the amount of the judgment and if the judgment exceeds the amount due, the owner may recover the difference from the prime contractor. This subsection does not apply if the lien is the result of the failure of the owner to pay the prime contractor. (7) Wrongful use of materials. Any prime contractor or any subcontractor furnishing materials who purchases materials on credit and represents at the time of making the purchase that the materials are to be used in a designated building or other improvement and thereafter uses or causes them to be used in the construction of any improvement other than that designated, without the written consent of the seller, may be fined not more than $300 or imprisoned not more than 3 months. (8) Wage payments to laborer apply to earlier work. In any situation where a laborer or mechanic employed by any prime contractor or subcontractor has wage payments due and has worked on more than one improvement for the employer during the period for which the wages are due, and a payment of less than all wages due is made, the payment is deemed to apply to the unpaid work in chronological sequence starting with the earliest unpaid time, unless the laborer agrees in writing that the payment shall be applied in a different way. (1) No agreement by other than claimant may invalidate lien. Subject to s. 779.05, a lien claimant may waive the lien given by s. 779.01 by a writing signed by the lien claimant, but no action by nor agreement between any other persons shall invalidate the lien, other than payment in full to the claimant for the labor , services, materials, plans, or specifications to which the lien claim relates. (2) Payment bond may eliminate lien rights. In any case where the prime contractor, pursuant to agreement with the owner, has furnished a payment bond under s. 779.035, all liens provided by s. 779.01 except those of any prime contractor do not exist, ss. 779.02(1) to (4) and (6) and 779.06 do not apply and all claimants who have no lien shall follow the requirements and procedures specified in ss. 779.035 and 779.036. Click Here to File a Wisconsin Document. (1) To eliminate lien rights as provided in s. 779.03(2), the contract between the owner and the prime contractor for the construction of the improvement shall contain a provision for the payment by the prime contractor of all claims for labor , services, materials , plans, or specifications performed, furnished, procured, used, or consumed, except plans or specifications furnished by the architect, professional engineer or surveyor employed by the owner, in making such improvement and performing the work of improvement. The contract shall not be effective to eliminate lien rights unless the prime contractor gives a bond issued by a surety company licensed to do business in this state. The bond shall carry a penalty for unpaid claims of not less than the contract price, and shall be conditioned for the payment to every person entitled thereto of all the claims for labor , services, materials, plans, and specifications performed, furnished, or procured under the contract and subsequent amendments thereto, to be used or consumed in making the improvement or performing the work of improvement as provided in the contract and subsequent amendments thereto. The bond shall be approved by the owner and by any mortgage lender furnishing funds for the construction of the improvement. No assignment, modification or change in the contract, or change in the work covered thereby, or any extension of time for completion of the contract shall release the sureties on the bond. (2)(a) Except as provided in par. (b), any party in interest may, not later than one year after the completion of the contract for the construction of the improvement, maintain an action in his or her own name against the prime contractor and the sureties upon the bond for the recovery of any damages sustained by reason of the failure of the prime contractor to comply with the contract or with the contract between the prime contractor and subcontractors. If the amount realized on the bond is insufficient to satisfy all of the claims of the parties in full, it shall be distributed among the parties proportionally. (b)1. Except as provided in subd. 2., a subcontractor , supplier, or service provider may maintain an action under par. (a) only if the subcontractor , supplier, or service provider has notified the prime contractor in writing that the subcontractor , supplier, or service provider was performing, furnishing, or procuring labor , services, materials, plans, or specifications for the construction of the improvement. The notice must be provided no later than 60 days after the date on which the subcontractor , supplier, or service provider first performed, furnished, or procured the labor , services, materials, plans, or specifications. a. The contract for performing, furnishing, or procuring the labor , services, materials, plans, or specifications does not exceed $5,000. b. The action is brought by an employee of the prime contractor, the subcontractor or the supplier. c. The subcontractor , supplier, or service provider is listed in a written contract, or in a document appended to a written contract, between a subcontractor , supplier, or service provider and the prime contractor. (3) In any case in which the improvement contract and bond have been prepared and executed pursuant to sub. (1) upon inquiry by any subcontractor, supplier, service provider, laborer, or mechanic performing, furnishing, or procuring labor , services, materials, plans, or specifications for said improvement, the prime contractor and the owner shall so advise the person making the inquiry and shall give the person reasonable opportunity to inspect and examine the contract and bond. (1) In any case in which an improvement is constructed or to be constructed pursuant to a contract and payment bond under s. 779.035, any person performing, furnishing, or procuring labor , services, materials , plans, or specifications to be used or consumed in making the improvement, to any prime contractor or subcontractor shall have a lien on the money or other payment due or to become due the prime contractor or subcontractor therefor, if the lienor, before payment is made to the prime contractor or subcontractor, serves a written notice of the lienor’s claim on the owner or authorized agent and on any mortgage lender furnishing funds for the construction of the improvement. Upon receipt of the notice, the owner and lender shall assure that a sufficient amount is withheld to pay the claim and, when it is admitted or not disputed by the prime contractor or subcontractor involved or established under sub. (3), shall pay the claim and charge it to the prime contractor or subcontractor as appropriate. Any owner or lender violating this duty shall be liable to the claimant for the damages resulting from the violation. There shall be no preference among lienors serving such notices. (2) A copy of the notice provided in sub. (1) also shall be served by the lienor, within 7 days after service of the notice upon the owner and lender, upon the prime contractor or subcontractor . (3) If the prime contractor or subcontractor does not dispute the claim by serving written notice on the owner and the lien claimant within 30 days after service of written notice under sub. (2), the amount claimed shall be paid over to the claimant on demand and charged to the prime contractor or subcontractor pursuant to sub. (1). If the prime contractor or subcontractor disputes the claim, the right to a lien and to the moneys in question shall be determined in an action brought by the claimant or the prime contractor or subcontractor. If the action is not brought within 3 months from the time the notice required by sub. (1) is served, the lien rights under this section are barred. (4)(a) When the total lien claims exceed the sum due the prime contractor or subcontractor concerned and where the prime contractor or subcontractor has not disputed the amounts of the claims filed, the owner with the concurrence of the lender shall determine on a proportional basis who is entitled to the amount being withheld and shall serve a written notice of the determination on all claimants and the prime contractor or subcontractor . Unless an action is commenced by a claimant or by the prime contractor or subcontractor within 20 days after the service of said notice, the money shall be paid out in accordance with the determination and the liability of the owner and lender to any claimant shall cease. (b) If an action is commenced, all claimants, the owner and the lender shall be made parties. Such action shall be brought within 6 months after completion of the work of improvement or within the time limit prescribed by par. (a), whichever is earlier. (c) Within 10 days after the filing of a certified copy of the judgment in any such action with the owner and lender, the money due the prime contractor or subcontractor shall be paid to the clerk of court to be distributed in accordance with the judgment. All claims for liens and right to recover therefor under this subchapter are assignable. Notice in writing of such assignment may be served upon the owner of the property affected and all payments made by the owner before service of such notice shall discharge the debt to the amount paid. The assignee may file petitions for such liens and may bring an action in the assignee’s name to enforce the same, subject to the limitations in s. 779.01(5). (1) Any document signed by a lien claimant or potential claimant and purporting to be a waiver of construction lien rights under this subchapter, is valid and binding as a waiver whether or not consideration was paid therefor and whether the document was signed before or after the labor , services, materials, plans, or specifications were performed, furnished, or procured, or contracted for. Any ambiguity in such document shall be construed against the person signing it. Any waiver document shall be deemed to waive all lien rights of the signer for all labor , services, materials, plans, or specifications performed, furnished, or procured, or to be performed, furnished, or procured, by the claimant at any time for the improvement to which the waiver relates, except to the extent that the document specifically and expressly limits the waiver to apply to a particular portion of such labor , services, materials, plans, or specifications. A lien claimant or potential lien claimant of whom a waiver is requested is entitled to refuse to furnish a waiver unless paid in full for the labor, services, materials, plans, or specifications to which the waiver relates. A waiver furnished is a waiver of lien rights only, and not of any contract rights of the claimant otherwise existing. (2) A promissory note or other evidence of debt given for any lienable claim shall not be deemed a waiver of lien rights unless the note or other instrument is received as payment and expressly declares that receipt thereof is a waiver of lien rights. (1) No lien under s. 779.01 shall exist and no action to enforce a lien under s. 779.01 shall be maintained unless within 6 months from the date the lien claimant performed, furnished, or procured the last labor , services, materials, plans, or specifications, a claim for the lien is filed in the office of the clerk of circuit court of the county in which the lands affected by the lien lie, and unless within 2 years from the date of filing a claim for lien an action is brought and summons and complaint filed. A lien claimant shall serve a copy of the claim for lien on the owner of the property on which the lien is placed within 30 days after filing the claim. A claim for a lien may be filed and entered in the judgment and lien docket, and action brought, notwithstanding the death of the owner of the property affected by the action or of the person with whom the original contract was made, with like effect as if he or she were then living. (2) No lien claim may be filed or action brought thereon unless, at least 30 days before timely filing of the lien claim, the lien claimant serves on the owner a written notice of intent to file a lien claim. The notice is required to be given whether or not the claimant has been required to and has given a previous notice pursuant to s. 779.02. Such notice shall briefly describe the nature of the claim, its amount and the land and improvement to which it relates. (3) Such a claim for lien shall have attached thereto a copy of any notice given in compliance with s. 779.02 and a copy of the notice given in compliance with sub. (2), and shall contain a statement of the contract or demand upon which it is founded, the name of the person against whom the demand is claimed, the name of the claimant and any assignee, the last date of performing, furnishing, or procuring any labor , services, materials, plans, or specifications, a legal description of the property against which the lien is claimed, a statement of the amount claimed and all other material facts in relation thereto. Such claim document shall be signed by the claimant or attorney, need not be verified, and in case of action brought, may be amended, as pleadings are. (a) Name of person against whom lien is claimed. (b) Name of claimant or assignee. (d) Last date of performing, furnishing, or procuring labor , services, materials, plans, or specifications. (e) Description of copies of notices attached to claim when filed. (f) Date and time of filing claim. (2) The judgment and lien docket shall be presumptive evidence of the correctness of its entries. (1) The person against whom a lien is claimed or any other interested party may file with the clerk of court in whose office the claim for lien is filed an undertaking executed by a surety to the effect that the person against whom the lien is claimed shall pay the amount of the claim and all costs and damages which may be awarded against that person on account of the lien or in lieu thereof deposit with the clerk of the court a sum of money, certified check or negotiable government bonds in par value equal to 125% of the claim for lien. The court in which any action to foreclose the lien may be brought shall determine any question of sufficiency of the surety if exception is taken thereto by the lien claimant within 10 days after notice of the filing of such undertaking or deposit of other security and may upon notice and upon motion of any party, order any sum of money deposited to be invested. The clerk of court shall remove the lien from the judgment and lien docket upon the court’s order approving the surety in substitution for the lien. The depositor shall be entitled to any income from the investments, certified check or negotiable U.S. government bonds deposited and the clerk shall pay the income to the depositor without order when received or, in the case of coupons, as the income becomes due. (2) If an undertaking is furnished, it shall be accompanied by the affidavit of the surety which states that the surety is worth, over and above all debts and liabilities in property within this state not exempt from execution, an amount in the aggregate equal to 125% or more of the amount of the claim for lien. (3) The person against whom the lien is claimed or other interested party depositing the security shall cause to be served upon the lien claimant a notice of the filing of the undertaking or deposit of other security and, if an undertaking, a copy thereof, which notice shall state where and when the undertaking was filed or the security was deposited. (4) Any action brought after the furnishing of security or pending at the time of the furnishing thereof in accordance with this section shall proceed as if no security had been furnished, except that after the time within which exceptions may be taken to the security, or pursuant to order of the court upon any exception so taken, the clerk shall satisfy the claim for lien of record and discharge any lis pendens filed, and except that the lien thereupon shall attach to the security and the amount adjudged due in the proceeding for foreclosure thereof shall be satisfied out of the security, and the property described in the lien claim shall thenceforth be entirely free of the lien and shall in no way be involved in subsequent proceedings. (5) If no action to foreclose the lien is brought within the time specified by s. 779.06(1), the clerk of circuit court in whose office the undertaking or other security was filed or deposited shall on request, and without notice, return the undertaking or security to the party filing or depositing it. In the foreclosure of liens mentioned in s. 779.01, ch. 846 shall control as far as applicable unless otherwise provided in this subchapter. All persons having filed claims for liens under s. 779.01 may join as plaintiffs, and if any do not join they may be made defendants. All persons having liens subsequent to such lien may be joined as defendants. If any person who is a proper party is not a party to the action the person may, at any time before judgment, be made a defendant, and any person who after the commencement of the action obtains a lien or becomes a purchaser may, at any time before judgment, be made a defendant. The judgment shall adjudge the amount due to each claimant who is a party to the action. It shall direct that the interest of the owner in the premises at the commencement of the performing, furnishing, or procuring the labor, services, materials, plans, or specifications for which liens are given and which the owner has since acquired, or so much thereof as is necessary, be sold to satisfy the judgment, and that the proceeds be brought into court with the report of sale to abide the order of the court. If the premises can be sold in parcels without injury to the parties, the court may adjudge that the sale be so made. If the plaintiff fails to establish a lien upon the premises but does establish a right to recover for labor , services, materials, plans, or specifications, the plaintiff may have a judgment against the party liable. The several claimants whose liens were established in the action shall be paid without priority among themselves. If the sum realized at the sale under s. 779.10 is insufficient after paying the costs of the action and the costs of making the sale to pay the liens in full they shall be paid proportionally. (1) All sales under judgments in accordance with s. 779.10 shall be noticed, conducted and reported in the manner provided for the sale of real estate upon execution and shall be absolute and without redemption. In case such sale is confirmed, the deed given thereon shall be effectual to pass to the purchaser all that interest in the premises which is directed to be sold. (2) If any deficiency arises upon the sale in the payment of the sums adjudged to be due to any lien claimant, the court, upon confirming the sale, may render judgment for the deficiency if demanded in the pleadings against the defendant legally liable to pay the deficiency. The judgment may be entered in the judgment and lien docket and enforced in the same manner that ordinary judgments are. The purchasers at the sale shall be entitled to a writ of assistance under s. 815.63 to obtain possession of the premises sold. (1) Every lien claimant, or the attorney who executed and filed a claim for lien on the claimant’s behalf, who has received satisfaction or tender of the claim with the costs of any action brought on the claim shall, at the request of any person interested in the premises affected and on payment of the costs of satisfying the same, execute and deliver the necessary satisfaction to the interested person. On filing the satisfaction with the clerk of circuit court, the clerk of circuit court shall enter satisfaction of the claim on the judgment and lien docket. Failure to execute and deliver the satisfaction or to satisfy the lien on the judgment and lien docket shall render the person so refusing liable to pay to the person requiring the satisfaction a sum equal to one-half of the sum claimed in the claim for lien. (2) Every lien claimant, or the attorney who executed and filed a claim for lien on the claimant’s behalf, who has received from any person interested in the premises described in the claim a written statement that the premises described in the claim are not in fact the premises on which the claimant performed, furnished, or procured the labor, services, materials, plans, or specifications to which the claim relates together with a written demand that the claim be satisfied of record shall, if in fact the statement of such person about the mistaken description is true, promptly satisfy the lien claim of record at the lien claimant’s expense. Failure to satisfy the lien claim of record within a reasonable time, if in fact the statement asserting the mistaken description is true, shall render the person so failing liable to pay to the person demanding the satisfaction a sum equal to one-half of the sum claimed in the claim for lien. (1) Provisions requiring any person entitled to a construction lien to waive his or her right to a construction lien or to a claim against a payment bond before he or she has been paid for the labor , services, materials , plans, or specifications that he or she performed, furnished, or procured. (2) Provisions making the contract subject to the laws of another state or requiring that any litigation, arbitration or other dispute resolution process on the contract occur in another state. (3) Provisions making a payment to a prime contractor from any person who does not have a contractual agreement with the subcontractor , supplier, or service provider a condition precedent to a prime contractor’s payment to a subcontractor , supplier, or service provider. This subsection does not prohibit contract provisions that may delay a payment to a subcontractor until the prime contractor receives payment from any person who does not have a contractual agreement with the subcontractor , supplier, or service provider. (a) Any person who has a direct contractual relationship, expressed or implied, with the prime contractor or with any subcontractor of the prime contractor to perform, furnish, or procure labor , services, materials, plans, or specifications, except as provided in par. (b). (b) With respect to contracts entered into under s. 84.06(2) for highway improvements, any person who has a direct contractual relationship, expressed or implied, with the prime contractor to perform, furnish, or procure labor , services, materials, plans, or specifications. (1e) Contract requirements regarding duties of prime contractor. (a) All contracts involving $10,000 or more for performing, furnishing, or procuring labor , services, materials, plans, or specifications, when the same pertains to any public improvement or public work shall contain a provision for the payment by the prime contractor of all claims for labor , services, materials, plans, or specifications performed, furnished, procured, used, or consumed that pertain to the public improvement or public work. (b) All contracts that are in excess of $30,000, as indexed under sub. (1s), and that are for performing, furnishing, or procuring labor , services, materials, plans, or specifications for a public improvement or public work shall contain a provision under which the prime contractor agrees, to the extent practicable, to maintain a list of all subcontractors , suppliers, and service providers performing, furnishing, or procuring labor , services, materials, plans, or specifications under the contract. a. The contract shall include a provision which allows the state to make direct payment to subcontractors or to pay the prime contractor with checks that are made payable to the prime contractor and to one or more subcontractors. This subd. 1. a. does not apply to any contract entered into by the state under authority granted under chs. 84, 85 and 86. This subd. 1. a. also does not apply to any contract with a town, city, village, county or school district for the construction, improvement, extension, repair, replacement or removal of a transportation facility, as defined under s. 84.185 (1) (d); bikeway, as defined under s. 84.60 (1) (a); bridge; parking lot or airport facility. b. The contract shall comply with written standards established by the department of administration. Written standards established under this subd. 1. b. shall include criteria for determining whether the contract requires payment or performance assurances and, if so, what payment or performance assurances are required. a. The contract shall include a provision which allows the state to make direct payment to subcontractors or to pay the prime contractor with checks that are made payable to the prime contractor and to one or more subcontractors. This subd. 2. a. does not apply to any contract entered into by the state under authority granted under chs. 84, 85 and 86. This subd. 2. a. also does not apply to any contract with a town, city, village, county or school district for the construction, improvement, extension, repair, replacement or removal of a transportation facility, as defined under s. 84.185 (1) (d); bikeway, as defined under s. 84.60 (1) (a); bridge; parking lot or airport facility. b. The contract shall require the prime contractor to provide a payment and performance bond meeting the requirements of par. (e), unless the department of administration allows the prime contractor to substitute a different payment assurance for the payment and performance bond. The department of administration may allow a prime contractor to substitute a different payment and performance assurance for the payment and performance bond only after the contract has been awarded and only if the substituted payment and performance assurance is for an amount at least equal to the contract price and is in the form of a bond, an irrevocable letter of credit or an escrow account acceptable to the department of administration. The department of administration shall establish written standards under this subd. 2. b. governing when a different payment and performance assurance may be substituted for a payment and performance bond under par. (e). 3. In the case of a contract with a contract price exceeding $275,000, as indexed under sub. (1s), the contract shall require the prime contractor to obtain a payment and performance bond meeting the requirements under par. (e). a. The contract shall include a provision which allows the governmental body that is authorized to enter into the contract to make direct payment to subcontractors or to pay the prime contractor with checks that are made payable to the prime contractor and to one or more subcontractors. This subd. 1. a. does not apply to any contract with a town, city, village, county or school district for the construction, improvement, extension, repair, replacement or removal of a transportation facility, as defined under s. 84.185 (1) (d); bikeway, as defined under s. 84.60 (1) (a); bridge; parking lot or airport facility. b. The contract shall comply with written standards established by the public body authorized to enter into the contract. Written standards established under this subd. 1. b. shall include criteria for determining whether the contract requires payment or performance assurances and, if so, what payment or performance assurances are required. a. The contract shall include a provision which allows the governmental body that is authorized to enter into the contract to make direct payment to subcontractors or to pay the prime contractor with checks that are made payable to the prime contractor and to one or more subcontractors. This subd. 2. a. does not apply to any contract with a town, city, village, county or school district for the construction, improvement, extension, repair, replacement or removal of a transportation facility, as defined under s. 84.185 (1) (d); bikeway, as defined under s. 84.60 (1) (a); bridge; parking lot or airport facility. b. Except as provided in sub. (4), the contract shall require the prime contractor to provide a payment and performance bond meeting the requirements of par. (e), unless the public body authorized to enter into the contract allows the prime contractor to substitute a different payment assurance for the payment and performance bond. The public body may allow a prime contractor to substitute a different payment and performance assurance for the payment and performance bond only if the substituted payment and performance assurance is for an amount at least equal to the contract price and is in the form of a bond, an irrevocable letter of credit or an escrow account acceptable to the public body. The public body shall establish written standards under this subd. 2.b. governing when a different payment and performance assurance may be substituted for a payment and performance bond under par. (e). 3. Except as provided in sub. (4), in the case of a contract with a contract price exceeding $125,000, as indexed under sub. (1s), the contract shall require the prime contractor to obtain a payment and performance bond meeting the requirements under par. (e). a. The faithful performance of the contract. b. The payment to every person, including every subcontractor , supplier, or service provider, of all claims that are entitled to payment for labor , services, materials, plans, or specifications performed, furnished, or procured for the purpose of making the public improvement or performing the public work as provided in the contract and sub. (1e)(a). 3. A bond required under par. (c) shall be approved for the state by the state official authorized to enter the contract. A bond required under par. (d) shall be approved for a county by its corporation counsel, for a city by its mayor, for a village by its president, for a town by its chairperson, for a school district by its president and for any other public board or body by the presiding officer thereof. 4. No assignment, modification or change of the contract, change in the work covered thereby or extension of time for the completion of the contract may release the sureties on a bond required under par. (c) or (d). 5. Neither the invitation for bids nor the person having power to approve the prime contractor’s bond may require that a bond required under par. (c) or (d) be furnished by a specified surety company or through a specified agent or broker. (f) Direct purchase contracts. Paragraphs (c) and (d) do not apply to a contract for the direct purchase of materials by the state or by a local unit of government. (1s) Indexing of contract thresholds. If a dollar amount is to be indexed under this subsection, the department of workforce development shall adjust the dollar amount biennially, the first adjustment to be made not sooner than December 1, 1998. The adjustment shall be in proportion to any change in construction costs since the effective date of this subsection under this subsection, or the last adjustment whichever is later. No adjustment shall be made for a biennium, if the adjustment to be made would be less than 5%. 1. Failure of the prime contractor to comply with the contract. 2. Except as provided in subd. 3., failure of the prime contractor or a subcontractor of the prime contractor to comply with a contract, whether express or implied, with a subcontractor , supplier, or service provider for performing, furnishing, or procuring labor , services, materials, plans, or specifications for the purpose of making the public improvement or performing the public work that is the subject of the contract with the governmental entity. 3. With respect to contracts entered into under s. 84.06(2) for highway improvements, failure of the prime contractor to comply with a contract, whether express or implied, with a subcontractor , supplier, or service provider of the prime contractor for performing, furnishing, or procuring labor , services, materials, plans, or specifications for the purpose of making the highway improvement that is the subject of the contract with the governmental entity. (am)1. Except as provided in subd. 2., a subcontractor , supplier, or service provider may maintain an action under par. (a) only if the subcontractor , supplier, or service provider has served a written notice on the prime contractor that the subcontractor , supplier, or service provider has performed, furnished, or procured, or will perform, furnish, or procure labor , services, materials, plans, or specifications to the public work or improvement. The notice must be served no later than 60 days after the date on which the subcontractor , supplier, or service provider first performed, furnished, or procured the labor , services, materials, plans, or specifications. b. The action is brought by an employee of the prime contractor, subcontractor , supplier, or service provider. c. The subcontractor , supplier, or service provider is listed in the list required to be maintained under sub. (1e)(b) or in a written contract, or in a document appended to a written contract, between a subcontractor , supplier, or service provider and the prime contractor. (b) If the amount realized on the bond is insufficient to satisfy all claims of the parties in full, it shall be distributed among the parties proportionally. (3) Actions by a county. In an action by a county upon the bond all persons for whose protection it was given and who make claim thereunder may be joined in the action. The county highway commissioner may take assignments of all demands and claims for labor , services, materials, plans, or specifications and enforce the same in the action for the benefit of the assignors, and the judgment may provide the manner in which the assignors shall be paid. (4) Bonding exemption. A contract with a local professional football stadium district under subch. IV of ch. 229 is not required under sub. (1m)(d)2.b. or 3. to include a provision requiring the prime contractor to provide or obtain a payment and performance bond or other payment assurance. 779.15. Public improvements; lien on money, bonds, or warrants due the prime contractor; duty of officials. (1) Any person who performs, furnishes, procures, manages, supervises, or administers any labor , services, materials, plans, or specifications used or consumed in making public improvements or performing public work, to any prime contractor, except in cities of the 1st class, shall have a lien on the money or bonds or warrants due or to become due the prime contractor therefor, if the lienor, before payment is made to the prime contractor, serves a written notice of the claim on the debtor state, county, town, or municipality . The debtor shall withhold a sufficient amount to pay the claim and, when it is admitted by the prime contractor or established under sub. (3), shall pay the claim and charge it to the prime contractor. Any officer violating the duty hereby imposed shall be liable on his or her official bond to the claimant for the damages resulting from the violation. There shall be no preference between the lienors serving the notices. (2) Service of the notice under sub. (1) shall be made upon the clerk of the municipality or in the clerk’s absence upon the treasurer. If any of the money due the prime contractor is payable by the state, service of the notice under sub. (1) shall be served upon the state department, board, or commission having jurisdiction over the work. A copy of the notice shall be served concurrently upon the prime contractor. (3) If a valid lien exists under sub. (1) and the prime contractor does not dispute the claim within 30 days after service on the prime contractor of the notice provided in sub. (2), by serving written notice on the debtor state, county, town, or municipality and the lien claimant, the amount claimed shall be paid over to the claimant on demand and charged to the prime contractor pursuant to sub. (1). If the prime contractor disputes the claim, the right to a lien and to the moneys in question shall be determined in an action brought by the claimant or the prime contractor. If the action is not brought within 3 months from the time the notice required by sub. (1) is served, and notice of bringing the action filed with the officer with whom the claim is filed, the lien rights are barred. (4)(a) When the total of the lien claims exceeds the sum due the prime contractor and where the prime contractor has not disputed the amounts of the claims filed, the debtor state, county, town or municipality, through the officer, board, department or commission with whom the claims are filed, shall determine on a proportional basis who is entitled to the money and shall notify all claimants and the prime contractor in writing of the determination. Unless an action is commenced by a claimant or by the prime contractor within 20 days after the mailing of the notice, the money shall be paid out in accordance with the determination and the liability of the state, county, town or municipality to any lien claimant shall cease. (b) If an action is commenced, all claimants shall be made parties and the action shall be commenced within 3 months after acceptance of the work by the proper public authority except as otherwise herein provided. (c) Within 10 days after the filing of a certified copy of judgment in any such action with the officers with whom the notice authorized by sub. (1) is filed, the money due the prime contractor shall be paid to the clerk of court to be distributed in accordance with the judgment. (1) Limitations. This section does not apply to cases covered by s. 812.42. Demands covered by s. 779.15 have priority over judgments filed under this section. The remedies afforded by s. 779.15 and by this section are complementary. (2) Certified copies of judgments filed. In this section, “municipality” includes city, village, county, town, school district, technical college district and any quasi municipal corporation. When the state or any municipality is indebted to any prime contractor, the owner of a judgment against the prime contractor may attach the debt by filing a certified copy of his or her judgment in the manner and subject to the conditions and limitations of this section. If the debt is owed by the state upon a contract for public improvements, the certified copy shall be filed with the officer, board, department or commission having jurisdiction over the work. Otherwise, the copy shall be filed with the department of administration. If the debt is owed by a municipality, the copy shall be filed with the municipal clerk or corresponding officer. The judgment creditor shall promptly notify the judgment debtor of the filing, within the time and as provided by s. 812.07 for service upon the defendant. (3) Payment to judgment creditor; exception. Except as to prime contractors on public works, the proper officers of the state or municipality shall pay the judgment out of moneys due the prime contractor or which become due the prime contractor, but no payment shall be made until 30 days after the creditor has filed with such officers proof that the contractor had been notified of the filing of a copy of the judgment against the contractor. (4) Same; funds due public prime contractors. When the state or a municipality is indebted to a prime contractor for public improvements, payment shall not be made to the judgment creditor until 3 months after final completion and acceptance of the public work and then only out of moneys due the prime contractor in excess of unpaid lienable claims having priority under s. 779.15. (5) Adjustment of lien claims. (a) For the purpose of administering this section, sworn statements of the prime contractor setting forth the unpaid lien claims that have been or may be filed under s. 779.15 may be accepted by the proper officer, board, department, or commission, unless the judgment creditor or other interested person gives written notice that an action is pending to determine whether specified lien claims were incurred in performing the public work and the amount thereof, or to determine priorities in which event payments shall await the result of the action. (b) Within 10 days after filing the certified copy of the judgment under sub. (2), the prime contractor shall file the sworn statement in duplicate, with the proper officer, board, department or commission, who shall immediately furnish the judgment creditor with one of the statements. The judgment creditor shall have 10 days from the receipt thereof in which to serve the notice of pendency of the court action. (6) Payments to judgment creditor. After the expiration of the 3-month period, the moneys due the prime contractor in excess of unpaid lienable expenses and claims incurred in performing the public work shall be paid to the judgment creditor, but not exceeding the amount due on the judgment. (7) Priority of judgments over assignments. Any judgment filed under this section has priority over an assignment made by the prime contractor after the commencement of the action in which the judgment was obtained. All moneys, bonds or warrants paid or to become due to any prime contractor or subcontractor for public improvements are a trust fund only in the hands of the prime contractor or subcontractor to the amount of all claims due or to become due or owing from the prime contractor or subcontractor for labor, services, materials, plans, and specifications performed, furnished, or procured for the improvements, until all the claims have been paid, and shall not be a trust fund in the hands of any other person. The use of any such moneys by any prime contractor or subcontractor for any other purpose until all claims , except those which are the subject of a bona fide dispute and then only to the extent of the amount actually in dispute, have been paid in full or proportionally in cases of a deficiency, is theft by the prime contractor or subcontractor of moneys so misappropriated and is punishable under s. 943.20. If the prime contractor or subcontractor is a corporation, limited liability company, or other legal entity other than a sole proprietorship, such misappropriation also shall be deemed theft by any officers, directors, members, partners, or agents responsible for the misappropriation. Any of such misappropriated moneys which have been received as salary, dividend, loan repayment, capital distribution or otherwise by any shareholder, member, or partner not responsible for the misappropriation shall be a civil liability of that person and may be recovered and restored to the trust fund specified in this subsection by action brought by any interested party for that purpose. Except as provided in this subsection, this section shall not create a civil cause of action against any person other than the prime contractor or subcontractor to whom such moneys are paid or become due. Until all claims are paid in full, have matured by notice and filing or have expired, such money, bonds and warrants shall not be subject to garnishment, execution, levy or attachment. At any time after the service of a notice of lien claim or filing of judgment or pending the determination of any action commenced thereunder, the prime contractor shall be entitled to the release of any moneys due the prime contractor under the contract upon filing a bond, executed by a surety company duly authorized to transact business in this state, with the public authority having jurisdiction over the work, guaranteeing that the prime contractor will pay any judgment of the court rendered in favor of the lien claimant and all judgments filed. Such bond shall be in an amount sufficient to insure payment of the lien claims and judgments, and shall be approved as to form and amount by the public authority.